Avoiding frostbite and hypothermia are imperative no matter what activities you are participating in. Hiking and camping can require multiple layers of clothing in order to be as effective as possible to keep your body warm. Everyone adapts their layers clothing differently, and some products or methods will differ slightly and change from person to person. You may discover you prefer more layers of thinner clothing or you prefer fewer layers of thicker clothing. Regardless of personal preferences, the concept and purpose are the same: Keep warm in the most effective way as possible. While the details may change slightly depending on each person, the basic principles are the same. The most important qualities of well-layered clothing are to keep as much heat as possible “in”, keep as much cold air as possible “out” and to keep you dry. As long as the clothing you choose serves these purposes, you are on the right track. There are three basic categories that make up the foundation of properly layered clothing. First, there is the base layer. This layer consists of your underwear and perhaps a thin layer of clothing against your skin. Next is the middle layer, or insulating layer. This layer is your thicker clothing designed to keep in as much heat as possible. Finally, there will be the outer layer or your shell. This layer will protect you from the elements. It should be windproof and waterproof to keep you dry. Each of these layers has unique qualities that are put together to keep your body safe. They all work together to be the most effective. As we already stated, the base layer will be the layer closest to your skin. This is the essential foundation to build upon for your clothing. This layer will consist of underwear and most of the time long underwear tops and bottoms. One key quality that all base layers should have is the ability to keep your body dry. In cold temperatures, it is of the utmost importance to keep your body dry. If your clothing is wet and does not dry quickly you have a higher risk of suffering from hyperthermia. Because of lacking the ability to stay dry, cotton is not at the top of the list for ideal hiking material in cold weather. Instead, most seasoned hikers recommend staying with synthetic materials for a base layer of clothing. Wool and polyester are the most popular choices for cold weather hiking. The most effective and the most popular insulating products are designed to keep “dead air space” warm. This means they keep the warm air in AND the cold air away from your body. This is an area that you may prefer to only use one layer of insulation, or you may choose to add an extra layer if you are especially cold natured. Fleece and wool are said to work the best on for this layer. Hikers also choose down filled vests and light jackets. The most important thing to remember is that you do not want to get in a situation that you are too cold and do not have the proper clothing to warm you up. Not only can this be dangerous, it can ruin your entire trip. On the Top. For the best insulation for your torso and upper body, you have a few different options. Some hikers prefer a fleece pullover or jacket. These are the most functional and will still function well even if you are slightly wet. 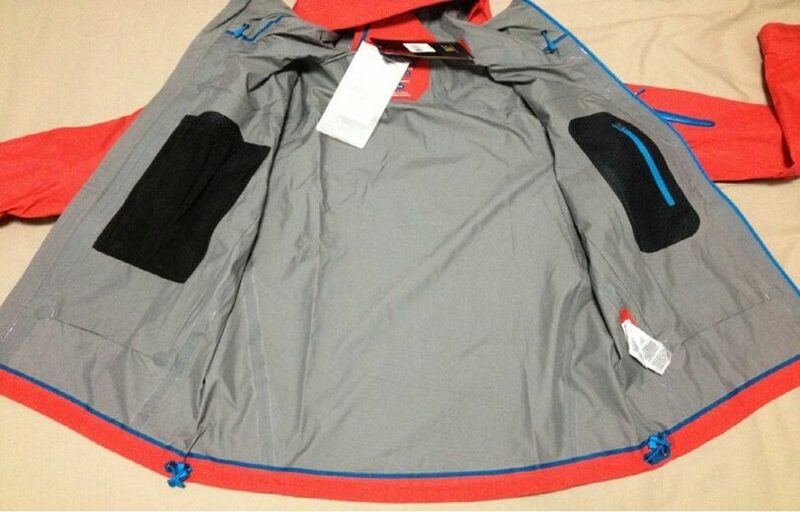 The regular fleece material is NOT windproof or waterproof and will NOT compress well, but it is light and effective. There are options that have a built in the windshield for added protection but do not assume that your jacket has it. Make sure you read the labels to know exactly what you are buying. On the Bottom. For most hikers, your legs should be fairly warm with a base layer of thermal underwear and a windproof/waterproof top layer. However, if you will be encountering temperatures that are below freezing for your entire trip, you may want to consider investing in a pair of down insulated pants. These offer the same benefits of a down filled jacket for your legs. Remember when wearing down that it is not effective if it becomes wet AND if it is not coated down, it will not dry quickly. Keep these things in mind before purchasing your gear. Outer layers are the clothing that is made to keep you dry and protect you from all of the elements. It is likely that you will run into some kind of weather while you are on your adventure. This may mean rain, snow, or wind. All of these can mean bad news for you if you are ill prepared. There are a few different options for an outer shell. The most important questions you need to ask about your outer layer are: Will it keep you dry and out of the wind? Is it durable? Is it breathable? Will it keep you dry and out of the wind? The outer layers’ main purpose is to keep you dry and protect you from the wind. When the rain comes you may not be able to keep out every drop of water, so you will also need to make sure that it dries quickly. If the rain penetrates your gear and then it will not dry quickly, it will be extremely difficult to warm back up. It is always best to stay as dry as possible. The wind is your next enemy. As soon as it penetrates your layers, it will steal your warmth. 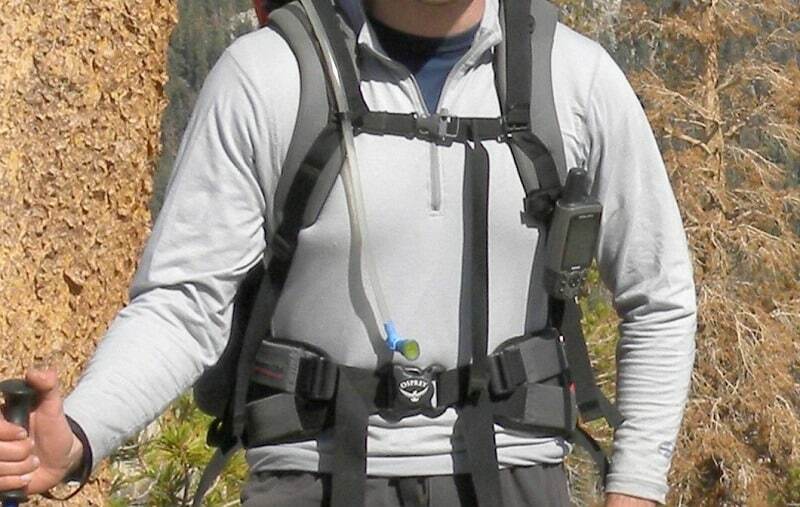 The less wind that gets through your gear, the warmer the dead air will remain around your body. Most hikers prefer gear that is made from eVent or Goretex. These materials seem to be the number one choice for durability against the elements. 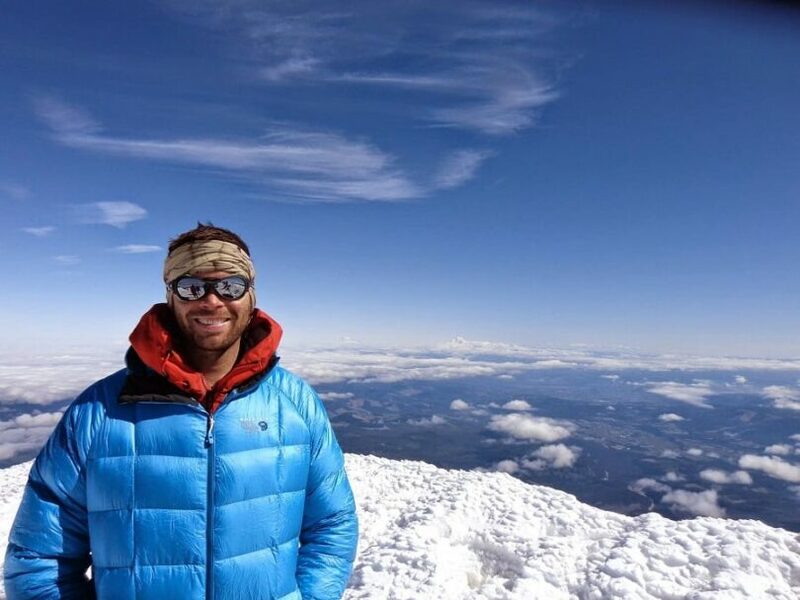 If you are unable to find those specific materials you will do well to find one that is made from coated material that is comparable to eVent or Goretex. There is one more possible additive to your outer shell; a poncho. Ponchos are not usually very durable and they are quite airy, so they will not provide the best wind protection, but they can offer an extra layer for both wind and rain. Again, it is not recommended as the main shell, but when added on top it can add a little extra protection. You want a product that will last. You do not want to be on your hike and have your protective layers tear and become vulnerable to the elements. There have been numerous tests and advancements made to ensure that the jackets you will be buying will last for years to come and continue to serve you well. 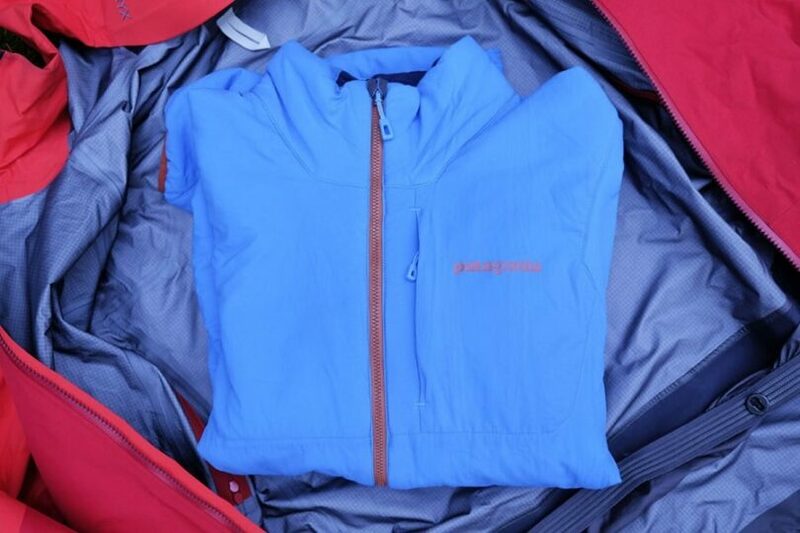 Mountain Hardwear makes a wonderful jacket called a “Jovian”. This jacket has been rated as one of the best options for waterproof, windproof and breathable. The company boasts about its Dry Q Elite material which they claim is the lightest and most breathable material that they have made. They also claim to beat out competition by allowing the material to breathe no matter how much effort you are exerting. This jacket should definitely be at the top of your list of considerations. Breathability can make or break a jacket. If the material is unable to breathe if you become too hot, it will keep you too warm and you will begin to sweat. If you sweat and the material still does not offer any air flow, you will remain wet. When a jacket is able to breathe and release heat and allow air to travel through, you will sweat less and dry faster. 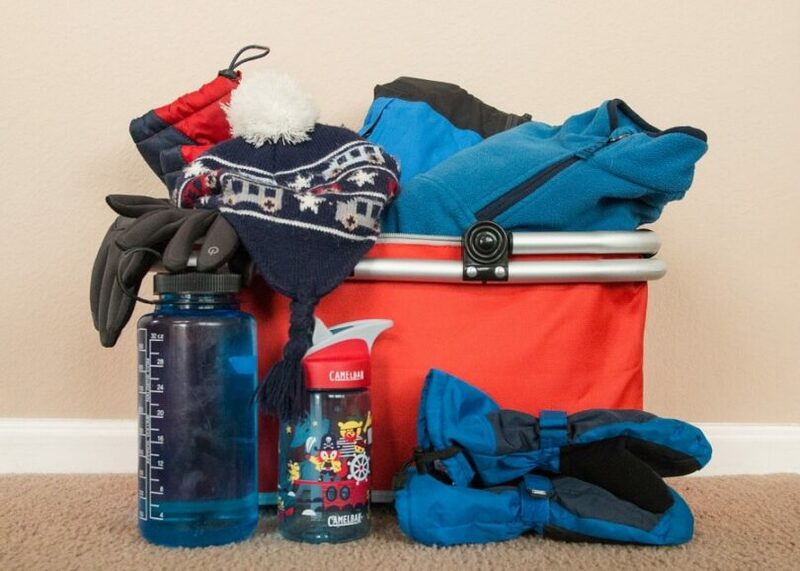 As you know, remaining dry and warm are essential to your survival while hiking in freezing temperatures. Layering on your hands and feet in cold weather is equally as important as layering on the rest of your body. If your fingers, hands, and face are unprotected in the elements you can suffer dire consequences. Frostbite can result in the amputation of fingers, toes, and limbs. To keep frostbite at bay, take the necessary steps to ensure that your extremities stay toasty warm. Let’s begin at the top. You lose about 10% of your body heat from your scalp according to recent studies. While that may not seem like much, your head, neck, and ears are more sensitive to temperature changes than the rest of your body. In order to protect these sensitive parts of your body, you must have a hat that does its job. 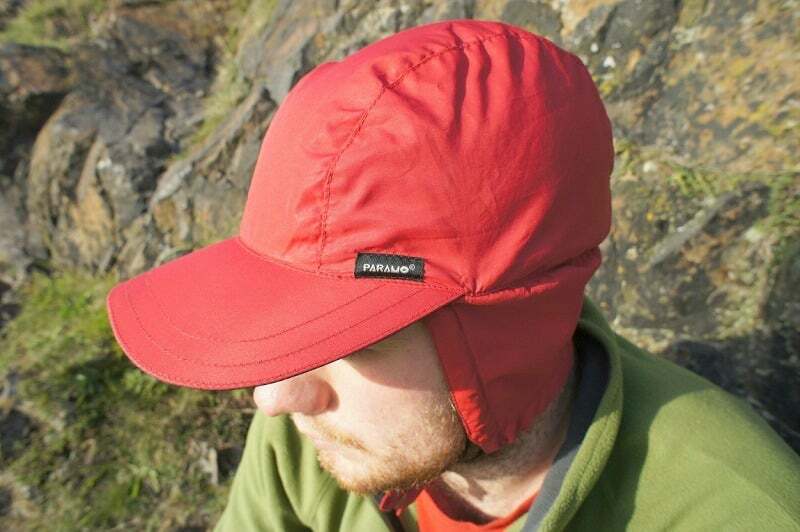 Outdoor gear companies sell hats that are made of a combination of materials. Most winter caps are fairly snug and made from fleece and wool. While stocking hats are the perfect option for insulating your “noggin”, you must also cover your neck. This is where the hood of your jacket will come into play. Make sure that you can cinch down your hood to make it as windproof as possible when it is necessary. You can check our top winter hats for your hiking needs and see how excellent they work for you. When considering keeping your hands warm, you will need to remember that you must also be able to USE your hands efficiently. Therefore, you will need something that is effective, flexible and not too bulky. The same general rules apply to insulating your hands. 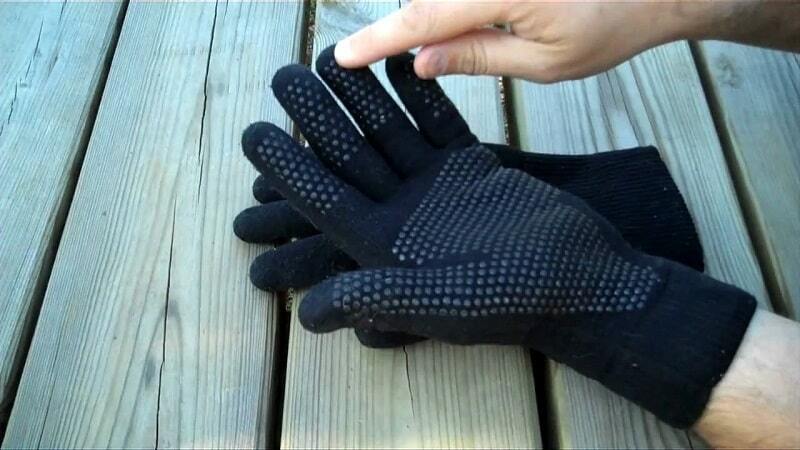 A base layer of a thin glove is appropriate for cold weather. Depending on how cold the temperatures are will determine how many layers you will choose to wear. Your middle/insulating layer can consist of a thicker down or fleece glove or mitten. This will ensure that your hands remain as warm as possible in below freezing. Keep in mind that the more you layer the less you will be able to move your fingers. You may decide for forgo the middle layer for your gloves if you will not be facing temperatures below freezing on your trip. Perhaps the most important layer on your hands will be the outer layer. Again, you will need a glove or cover that is waterproof and windproof. Your hands are extremely susceptible to frostbite and cold temperatures. If they get wet, it is difficult to warm them back up. So keep the elements away to effectively keep your hands warm. You can read our article on the best winter gloves to keep your hands toasty. Much like your hands, your feet are also in danger of suffering from frostbite, and if you are like me, if my feet are cold, so is my entire body. You will need your gear to be as breathable as possible, while still keeping out the rain and snow. Let’s begin with socks. You will need a firm foundation, again, with your thin layer of fleece or wool socks. This will make sure your feet, keep in as much heat as possible. See our best and warmest socks to keep your feet warm even in the coldest winter. 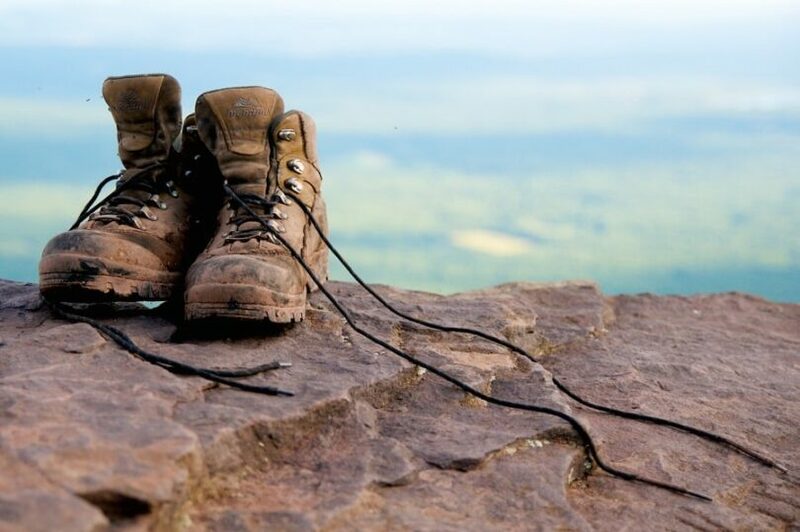 Following your base layer, you will need a pair of waterproof hiking boots. These are perfect for keeping out any excess moisture that you may find yourself in contact with. Most of these products are also very well insulated, so it is as if you have a second pair of socks on the inside of your boots. Finally, you will want to consider wearing a set of waterproof gaiters. I do not know if you have ever had snow fall down inside your boot, but it is not a good feeling. It makes your feet wet and cold and it seems that they will never heat back up. When hiking through water or snow in the cold, gaiters come highly recommended to keep any unwanted snow and water out of your boots. They are a big help in keeping your feet dry, which will also keep them warm. This could not be truer in the world of outdoor hobbies and activities. As long as you are prepared and knowledgeable before you venture into the wild, you will have some of the best times of your life. You will see unimaginable places and sceneries. Be prepared and layer your clothing according to the conditions you will be facing. 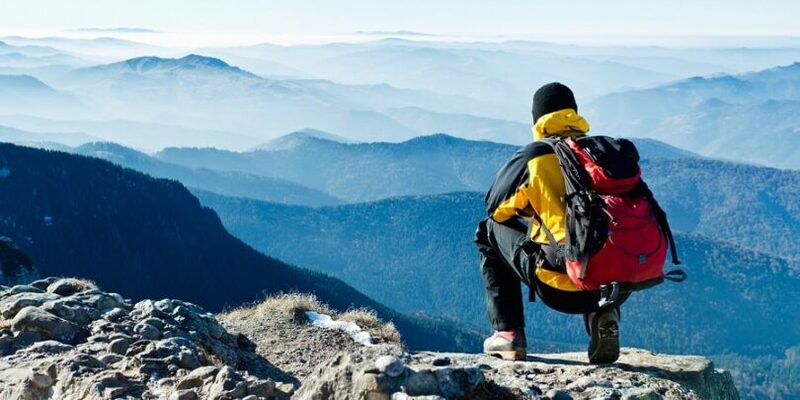 Read our awesome reviews of the best cold weather gear for hiking to give you more options. If you enjoyed this article or have questions, please feel free to leave them in the comments section below. We would love the opportunity to answer any questions that we can. Stay warm and happy hiking!